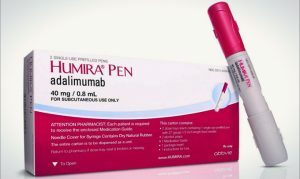 Will Humira Competitors Take Over the Immunology Drugs Market? In a new series of reports by iData Research, it was revealed that in 2017, the U.S. immunology market was valued at over $34 billion. A major portion of this revenue came from the biologic Humira, which accounted for over one-third of the total market value. Humira is one of the most expensive biotherapies on the market, with a typical patient cost between $1,100 and $2,600 per month. 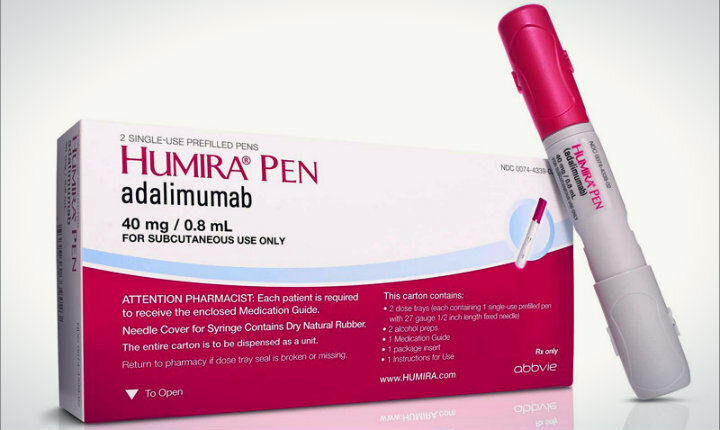 The actual drug, marketed under the brand name Humira, is called adalimumab, and was originally developed by Abbott Laboratories/Eidsai’s for arthritis patients. Humira was first approved in 2002 for rheumatoid arthritis. Today, Humira is approved for the treatment of multiple diseases, such as ankylosing spondylitis, Crohn’s disease, psoriasis, rheumatoid arthritis, and ulcerative colitis among others. The high price of Humira and its usage in multiple indications contribute to its strong market share. There is currently a small but steadily growing list of Humira competitors. Following the split from Abbott, AbbVie gained full rights to the drug and has consistently led the immunology market with its shares from Humira. The market as a whole will be facing major competition from biosimilars in coming years due to a number of associated drug patent expirations; perhaps the most impactful, was the patent expiration for Humira in 2016. There are currently two biosimilars approved to compete with Humira in the United States: Amjevita by Amgen and Cyltezo by Boehringer Ingelheim. However, neither will be launched until 2023, as Humira’s strong ancillary patents will protect the biologic from losing its exclusivity until then. It is predicted that Humira’s shares will fall gradually after 2020, due to the entry of infliximab (Remicade) and etanercept (Enbrel) biosimilars and other new drugs. The entry of adalimumab biosimilars, Amjevita and Cyltezo, will significantly increase Humira’s competition and further deepen the market share erosion after 2023. Amjevita was approved by the U.S. Food and Drug Administration (FDA) in 2016 for multiple indications (same as original adalimumab). However, due to the company’s agreement with AbbVie, they have delayed the biosimilar’s commercial release in the United States. Amgen has also obtained European approval for Amjevita. In June 2017, Samsung Bioepis’ Imraldi was granted a positive opinion by the Committee for Medicinal Products for Human Use (CHMP) and obtained approval in Europe shortly after. Both Amgen and Samsung are expected to launch their products in Europe by the end of 2018. The most recent development is the biosimilar Cyltezo that was approved by the U.S. FDA in August 2017. Most of the biosimilars are at the development stage, including GP2017 by Novartis, which is currently in phase 3 of clinical trials. To find out more about the immunology drugs market, register online or email us at [email protected] for information on our Global Market Report Suite for Immunology Drugs 2018.